The body design resembles the Japanese traditional paper craft, origami. 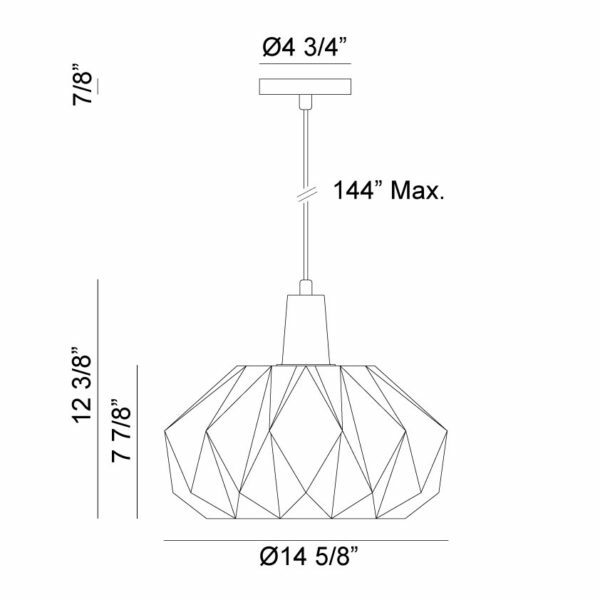 The lampshade itself consists of 2-dimensional geometric shapes folded together like a fan. 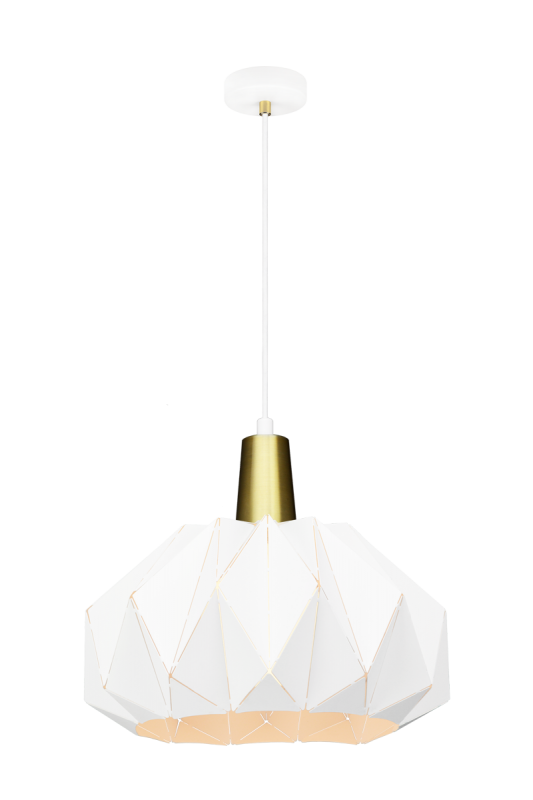 The geometric shape used includes a number of different triangles, which creates a look of a 3D visual effect. 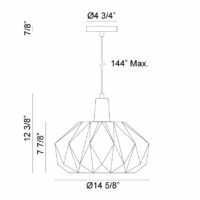 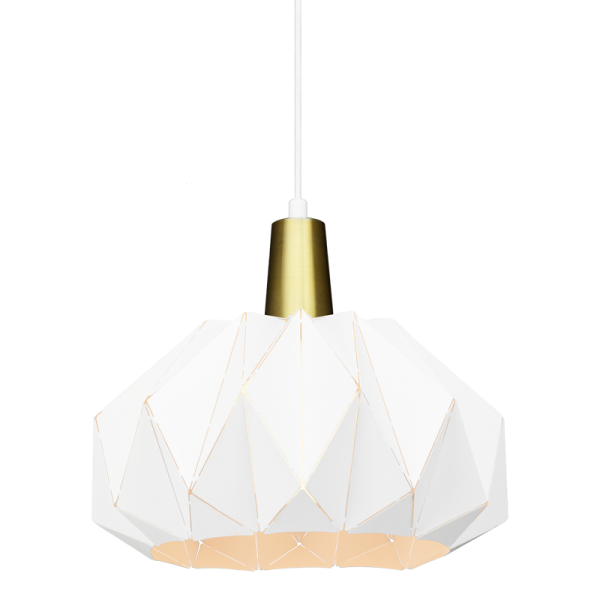 This fixture is available in two sizes and comes with Brushed Gold accents, a white fabric cord and a white canopy.